Apoptosis of virally-infected cells and primary tumor cells may be induced by cytotoxic T lymphocytes (CTLs) through the release of perforin and granzymes from cytoplasmic cytolytic granules. Granzymes (1) (highly homologous serine proteases) are activated through the cleavage of an amino-terminal dipeptide. As pro-apoptotic proteins, they interact with specific substrates in a perforin-dependent manner (2). Granzyme A exhibits weak pro-apoptotic activity and induces caspase-independent cell death particularly characterized by nuclear events. An important target of granzyme A is the endoplasmic reticulum-associated SET complex, containing granzyme A-activated DNase NM23-H1, its inhibitor SET. The SET complex translocates into the nucleus where the activated DNase NM23-H1 causes characteristic single-stranded DNA damage (6). Granzyme A also interacts with histone H1 and nuclear lamins, destabilizing the nuclear envelope (7). Our purified Granzyme A Antibodies are suitable for ELISA, immunohistochemistry of paraffin-embedded tissue sections and Western blotting. We also offer a wide selection of DNA Damage and Repair Antibodies, as well as antibodies against histones including acetylated isoform specificities, which may be found in our Chromatin Associated Molecules Antibody Range. Mitochondrial events are also involved in granzyme A - mediated apoptosis resulting in the loss of mitochondrial membrane potential and the release of reactive oxygen species (8). For researchers studying mitochondrial functionality, our MitoPT™ Kits provide a quick and easy staining method to clearly differentiate between non-apoptotic and apoptotic cells. Research into granzyme A-mediated apoptosis is important since many tumors and viruses can evade caspase - mediated cell death. Current research emphasis includes the role of granzyme-mediated apoptosis in diseases (9). 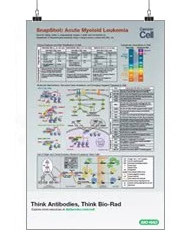 If you study apoptosis, don’t miss our wide range of guaranteed Apoptosis Antibodies and Kits from our range of cell biology reagents. Flow cytometric detection of granzyme B in peripheral blood lymphocytes with PE conjugated mouse anti human granzyme B following permeabilization with Leucoperm (BUF09). Granzyme B plays a pivotal role in the rapid induction of caspase-dependent apoptosis (3). In particular, it directly cleaves, and activates, several effector and initiator pro-caspases. Granzyme B also induces caspase-independent events leading to DNA fragmentation in the target cell (4), and mitochondrial dysfunction involving pro-apoptotic cytochrome c release (5). Our Granzyme B Antibodies include Clones GB7, GB10 & GB11 - in formats suitable for ELISA, flow cytometry (see Figure), immunohistochemistry of both frozen and paraffin-embedded tissue sections, immunoprecipitation and Western blotting. For analysis of active caspases in whole, living cells, we recommend our Caspase FLICA™ Kits, which contain a unique cell-permeable & non-cytotoxic FLICA™ reagent. These popular kits are quick and easy to use. Waterhouse, N. J., Sedelies, K. A. and Trapani, J. A. (2006). Immunol. Cell Biol. 84: 72-78. Chowdhury, D. et al. (2006). Mol. Cell 23: 133-142. Lieberman, J. and Fan, Z. (2003). Curr. Opin. Immunol. 15: 553-559. Martinvalet, D., et al (2005). Immunity. 22: 355-370.